B&B in Riffian in the middle of meadows and fruit orchards, hearty hospitality, panoramic view from the sun terrace, spacious and inviting rooms, ideal starting point for countless activities. 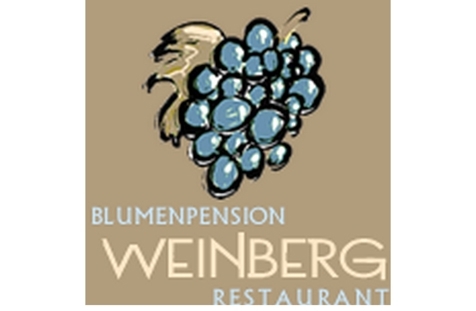 Welcome to the Blumenpension Weinberg in Riffian! In the Blumenpension Weinberg, we welcome our guests with hearty hospitality. Our guesthouse, adorned with flowers, is located in the middle of fruit orchards in Riffian near Meran and offers a wonderful panoramic view. Enjoy your holidays with the entire family with a lot of quiet and relaxation – you will keep these moments in mind for a very long time! Our guests are offered spacious and inviting rooms. They dispose of a bathroom with shower and WC, flat screen TV by satellite and a south our southwest-facing balcony with magnificent view. Moreover, you have the possibility to enjoy beautiful moments in good company at our new bar. The sunny panoramic terrace or at the outdoor pool in the garden are perfect for sunbathing and relaxing. 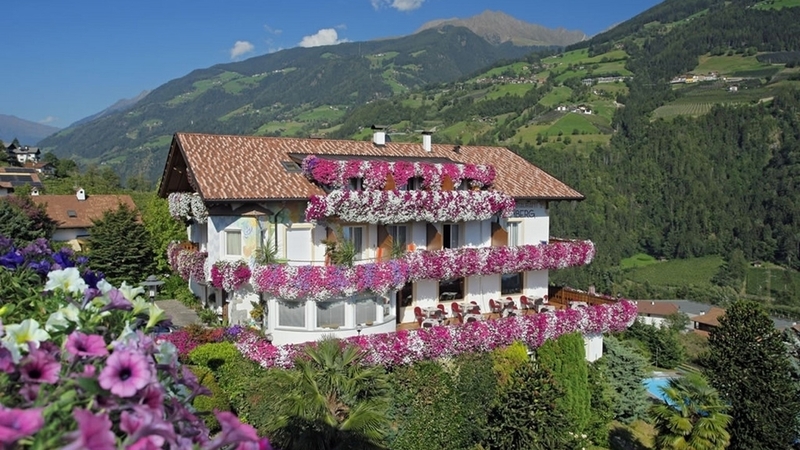 The Blumenpension Weinberg is an ideal starting point for outdoor activities in Meran and environs. Most of all, families, hikers and bike lovers will find an extremely varied offer. The thermal spa city of Meran with its Mediterranean flair are only a few minutes away by car. We particularly recommend you a walk along the Passer river and the Tappeiner path and a visit of the Gardens of Trauttmansdorff and the thermal baths in Meran. Hospitality is something unique, the floridity around our house, too. Let yourselves surprise, who we cultivate both of them!